I’ve always loved movies. I come by it almost genetically. My father taught film production at various universities during my childhood, and I grew up on a steady diet of indie, niche, and foreign films: The Last Unicorn and The Point probably being the two most memorable and most watched in our household. But it was in Argentina, on an academic research grant, that I fell in love with film. Not “movies,” but film itself as a medium. I went to Argentina with a single, albeit complex question: how does a society heal from trauma on a massive scale? Argentina suffered a brutal military dictatorship from 1976 until 1983, during which time over 30,000 “leftist rebels” were “disappeared” by the regime. In 2007, when I was doing my research, the nation was still grappling with the fallout. For a while after my arrival, I posed that single question to everyone I met, and at first the answer surprised me, until I’d gotten the answer so many times it couldn’t be coincidence. Most Argentines I spoke to directed me to a single film: La historia oficial (The Official Story). 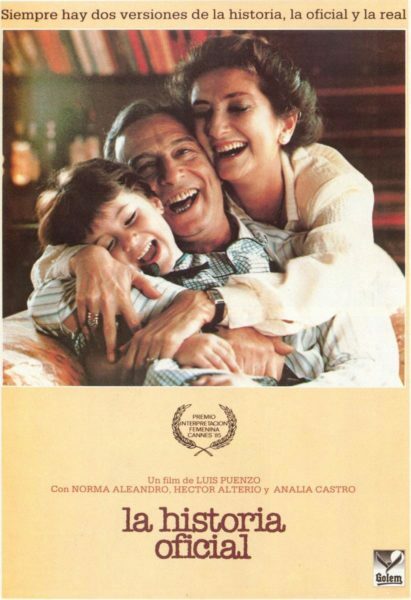 La historia oficial tells the story of Alicia, a high school history teacher who is leading a comfortable life with her husband, Roberto, a businessman with ties to the military, and their adopted daughter. When Alicia begins to wonder about the identity of her daughter’s birth parents, she finds herself suspecting that she may be the child of people abducted or killed by the government. She is faced with an impossible choice: live knowing her child is missed by her real family or give up the thing she loves most in the world. The film came out as Argentines were first learning that, during the dictatorship, children had been abducted from rebel parents and given as rewards to those loyal to the regime. As a country, they were struggling to cope politically and legally with the issue. But the film gave the country a glimpse into the individual, personal heartbreak obscured by the headlines: that real mothers, both biological and adoptive, were being faced with a no-win scenario. And in making the political personal, the film kick-started a national healing process. What made me fall in love with film was understanding that it is so much more than entertainment or even education. Film is, to my mind, the most visceral way to tell stories, and humans need to tell stories. It’s how we understand ourselves, our families, our communities, and ultimately, our entire society. Stories define our nation, our religious traditions, and even our most intimate unit: the family. Those stories tell us who we are. While I have been, from my youth, a great believer in the power of film, after my time in Argentina, I see it as a vital necessity to any community. But film in the U.S. today has a problem. Our media is evermore mediated, and the stories that need to be told aren’t getting out there. Six companies own almost all media: and that’s not just film, that’s news, television, online portals, and more. The barometer they use on funding film projects is what will make the most money, not what stories need to be told. So they put their faith in what they know: the same old directors and regurgitated plotlines. And since the studios hold all the cards, they can charge gigantic licensing fees, ask for 90 or 100% of a theater’s ticket sales, and even take a cut of concessions sales. The only way to survive in that context is to be a giant corporation with pull of your own, and even then to survive, the multiplexes charge prices so high that film is becoming increasingly out of reach for the average American (whose income is decreasing). That’s why, in 2015, when I met Dr. Caitlin McGrath, I was immediately hooked on her vision to turn the Old Greenbelt Theatre into a nonprofit, arthouse cinema. Revitalize this a historic gem of a theater by: showing films that make people think; creating a space where the community can come together to digest, unpack, and process these films; and do everything possible to make these films accessible to everyone?regardless of age, income, or ability. It’s what every community needs, and we are beyond lucky to have this resource in Prince George’s County. 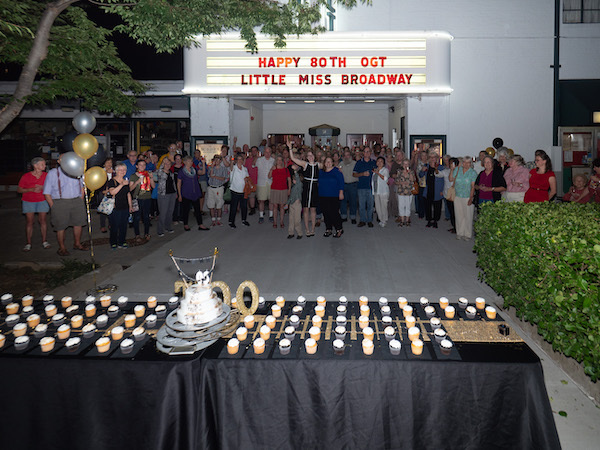 The Old Greenbelt Theatre is run as a nonprofit because we are mission-driven, not profit-driven. As a nonprofit, we can solicit the support of our community so that when we lose money showing a film (which we regularly do since studios can demand such a deep cut of our profits) we can still exist to screen more films that our community wants or needs to see. If we were worried about a wide profit margin, we wouldn’t have brought you Transit, If Beale Street Could Talk, Boy Erased or even First Man. 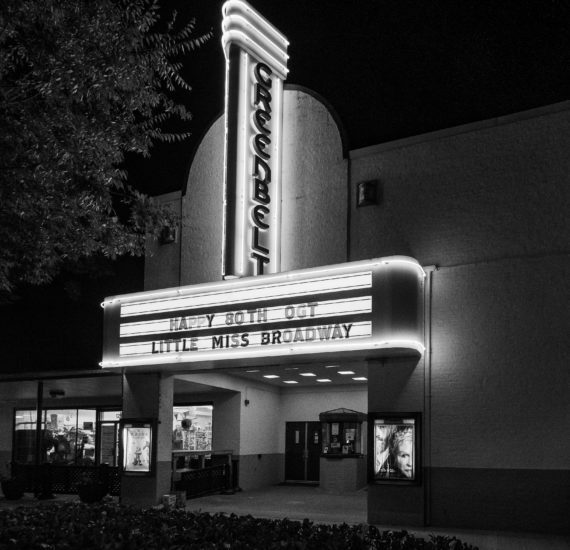 Independent movie theaters are closing down all across the country. They can’t compete in a corporate world that is cannibalizing the very locales that show their films. But there are important movies being made that need to be seen and not on a smartphone (as much as I applaud Netflix and Amazon for picking up the mantle of independent filmmaking). Film is at its most powerful when witnessed in community. That’s what we’re doing here at the Old Greenbelt Theatre. As a nonprofit, we bring you films from screenwriters and directors outside the mainstream. We provide a place to experience these films in community, and I truly do mean experience, because we follow up so many of our screenings with guest speakers and Q&A sessions. It doesn’t pay to do guest speakers. It’s something we do because it’s important. We’re a nonprofit because we serve a vital role in our community. We aren’t providing bread or shelter, that’s very true. But in many ways, we are creating a safe haven. A place where people of all walks of life can come, see themselves on the big screen, and have their experience understood by the community. We’re helping tell the stories our community needs to hear, and stories are the very stuff of which community is made. As I finished my senior year at Wesleyan University, one of the things I was most afraid of for my post-grad life was losing the environment in which everyone is eager to share the learning process with their friends and peers. The desire to preserve that, and the importance of my Jewish communities and experiences to me, is what led me to Avodah: The Jewish Service Corps. Avodah is based on studying the issues and approaches of our own service work as a way to navigate the centuries-old question central to Jewish life that is: how do Jews meet our obligation to serve? To do this, my fellow 23 Avodah Corps Members in DC and I are placed at leading anti-poverty organizations across the District – where we gain hands-on work experience and learn about the root causes and effects of poverty in this country. We work with individuals facing challenges related to healthcare access, food insecurity, housing insecurity, our immigration and refugee systems, and much more, as we also consider how to best organize the Jewish community toward a more just and equitable future. For the past seven months, I’ve been serving as a program associate at N Street Village. 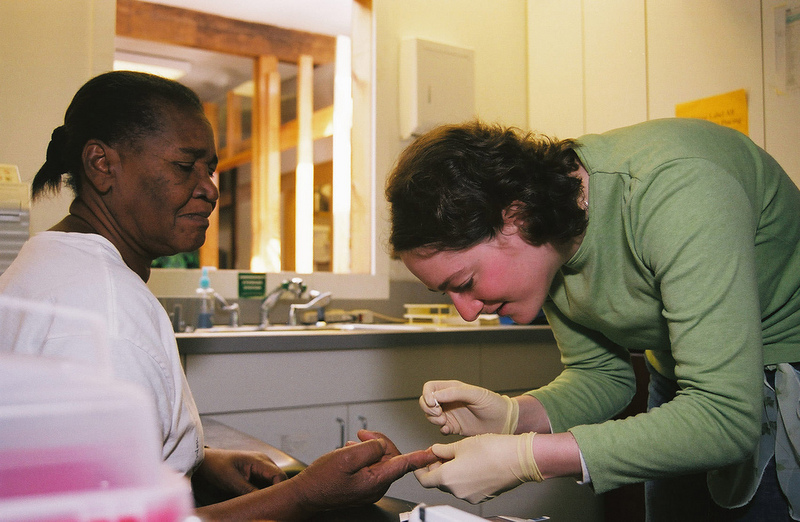 N Street Village empowers homeless and low-income women in Washington, D.C. to claim their highest quality of life by offering a broad spectrum of services, housing, and advocacy in an atmosphere of dignity and respect. Before I started Avodah, I was worried that my position and responsibilities would be too far removed from the macro-level social justice that I had spent most of college thinking about and cultivating my skills toward; I was nervous that I would not only miss reading, writing, and critically thinking about social justice in these ways, but that I wouldn’t be qualified for the direct service work that our clients needed me to do. Within the first few months I definitely faced a steep learning curve, but have also since found that I continue to learn more than I could have ever imagined about the lived experiences at the heart of the issues that I care about. This has been due in part to all of the training and learning opportunities that my placement provides its staff – especially its Avodah Corps Members and social work interns. One of the areas of learning that has profoundly impacted me this year is trauma-informed care. Trauma informed care is a holistic approach to providing services, based in an understanding of and responsiveness to the impact of trauma. What fascinates me about this framework is that trauma-informed care is more about changing systems than providing brief interventions to navigate traumatic experiences: it’s more about how a person who has experienced homelessness feels in a space that is intended to provide care, rather than about agencies checking off boxes of predetermined treatment requirements. Learning and exploring the principles of trauma-informed care has helped me imagine concrete ways in which the choices that I make at work can be empowering for clients, even when challenges within the systems can be endlessly disempowering for them. Having an understanding of this holistic approach to care, I’m able to better recognize symptoms of mental health instability as related to the traumatic experiences of homelessness and being deprived of basic human needs. Most importantly, this framework helps me as a staff person to focus on the sheer resilience at the core of human responses to stress and crisis, reduce the shame and stigma associated by homelessness and/or other crises, and ideally, help survivors feel respected, connected, and hopeful about their recovery. 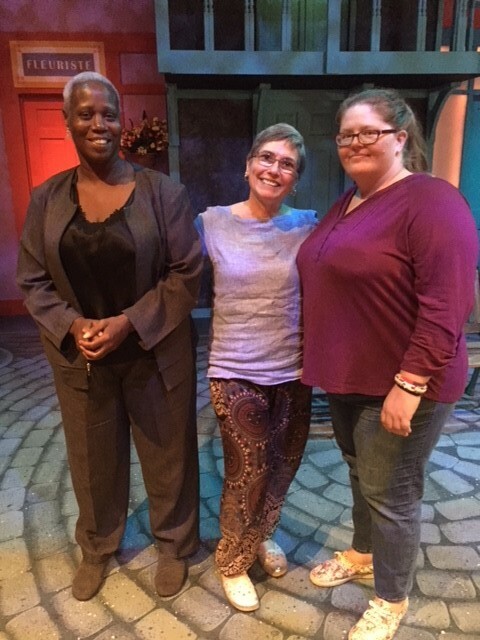 Having experienced this work for the past seven months, and getting to see its impact, I’m so grateful to my workplace and to Avodah as a whole for bringing the interpersonal connections to the foreground in my understanding of justice. I can only hope that through the rest of the year and beyond, my fellow Corps members and I never stop finding ways to fold that interpersonal justice into greater action and movements for progress. Sammi Aibinder is an Avodah Jewish Service Corps Member. She currently works as a program associate at N Street Village, which empowers homeless and low-income women in Washington, D.C. Ms. Aibinder is a graduate of Wesleyan University. Joe’s Movement Emporium is proud to be included in the Catalogue. This nonprofit is open year round for classes, rehearsals, performances, and arts education programs. Joe’s is a hub of cultural and community activity; it’s the largest independent performing arts center in Prince George’s County. Joe’s is a safe after-school haven for youth, offering arts activities that nurture self-confidence and self-esteem. Recently, WHUR-TV’s Artico program stopped by and interviewed Neena Narayanan, the organization’s marketing director. Click on this YouTube video and go to 12:00 to see what makes Joe’s so special. Aspire Counseling — 40 Years of Mental Health! For forty years, Aspire Counseling, a mental health non-profit based in Gaithersburg, has been helping Montgomery County residents grow, change, and thrive. It began in 1978 with Maryrose Rogolsky and a small, rented office in the Rockville Seventh-day Adventist Church. Rogolsky, lovingly known as “Posey,” set out with a vision to start an agency specializing in low cost, high-quality mental health care, to children in need. 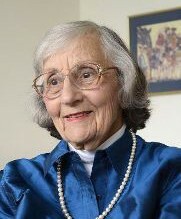 From that room, Posey and her three staff members founded what was then known as the Child Center and began their legacy and transformed access to affordable mental health care in Montgomery County. Posey was a true visionary. She served children during a time when there was little recognition of children’s mental health needs. She bravely did battle with insurance companies that questioned how a child of six years could be experiencing emotional problems. Fast forward 40 years and it can be very difficult to find an appointment with a child therapist, especially if you are uninsured and face financial and cultural barriers. “With a firm foundation based on the belief that all individuals, regardless of race, age and income, deserve access to affordable, evidence-based, excellent mental health care she built an organization that has helped thousands overcome personal mental health challenges,” said Carrie Zilcoski, Aspire’s Executive Director. Over its 40 years, the Child Center evolved, expanding to become Child Center and Adult Services, and now Aspire Counseling, but it continues to be guided by Posey’s vision. “What would Posey have done?” has become a mantra as Aspire’s staff continue to adapt to Montgomery County’s, and society’s, ever-changing needs. In 2018, Aspire Counseling’s Main Clinic is on pace to set a record of 1,400 unique patient encounters and nearly the same volume of patients in the community. Aspire’s newest program has brought services back into schools, training hundreds of educators and school employees on becoming a Trauma-Informed School with a goal of placing therapists in each school who specialize in trauma and helping students who have experienced Adverse Childhood Events. Aspire Counseling also offers programs dedicated to new mothers who are suffering from or at risk for postpartum depression. The Healthy Mothers, Healthy Babies program connects families to community services and provides a therapist who will make 12, no-cost, home therapy visits. 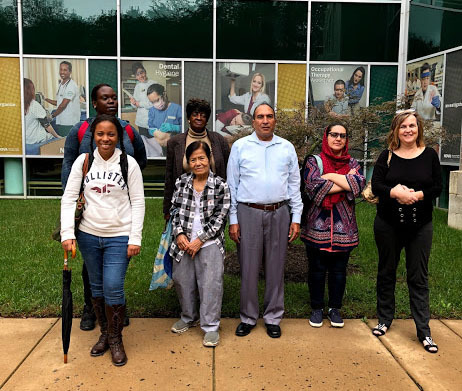 Committed to transforming lives and building resilience regardless of ability to pay, Aspire has found its place in Montgomery County’s growing and diverse community. To learn more visit we-aspire.org or call (301) 978-9750. Regardless of the challenges, you’re facing or your ability to pay, Aspire is here for you. I first connected with Friends of Guest House when it kept coming up in conversation with various people not related to each other, and I thought maybe I should pay attention. That was just over a year ago. In the time since, I’ve taught several classes, coached a few of the women one-on-one for job interviews and speaking events, and most recently, I became a mentor. To walk in the front door at Guest House is to be welcomed into the family, by both the women and the staff. In spite of all that is happening at any given moment in a residential program that houses more than two dozen women, in spite of the myriad details of coordinating meetings, classes, appointments, a stream of volunteers, and an occasional crisis response, there is never a hint of the “transactional” business that is taking place. Instead, it feels like stopping by an old friend’s house. I once read that “healing” is not to be “cured” of something, but rather to be welcomed fully back into the community. This is the business and the blessing of Guest House. At Guest House, each woman who walks in the door is treated with the same warmth and respect we all hope to receive when we are at our lowest moment. For many of them, it’s the first time they’ve encountered this simple act of kindness and respect that many of us might easily take for granted. It’s the first time they’ve been seen as fully human, with all the gifts and flaws, and pain and joy, and achievements and mistakes that everyone has. The challenge at Guest House is not to see the women as worthy of every good thing life has to offer, it’s to help them see it in themselves. And that’s not easy when someone’s sense of self-worth has been shaped by trauma or addiction or experiencing first-hand the for-profit business of prisons in America today. It takes time, and it’s messy, but this is the essential work. So in my experience, the role of mentoring is not so much about imparting some life lesson or wisdom, or about coaching a specific skill or making progress toward some defined goal or life plan. Those things will happen. It’s really more about meeting them where they are at any given moment. It’s about sitting with them, being fully present and authentic, generously listening without judgement, and gently reminding them, over time, that they are just in the middle of their story, that their conviction is only one event in one point in time, not the defining ending, that they are so much more than their worst mistake and that they are worthy and deserving of a full life. 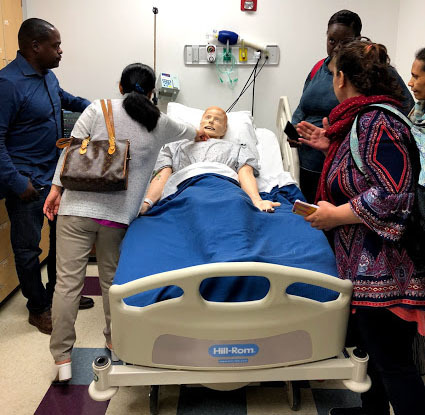 Join Britepaths and the Financial Empowerment Center at South County in offering a warm welcome to our very first cohort of students in our Healthcare Pre-Apprenticeship Training Pilot Program! 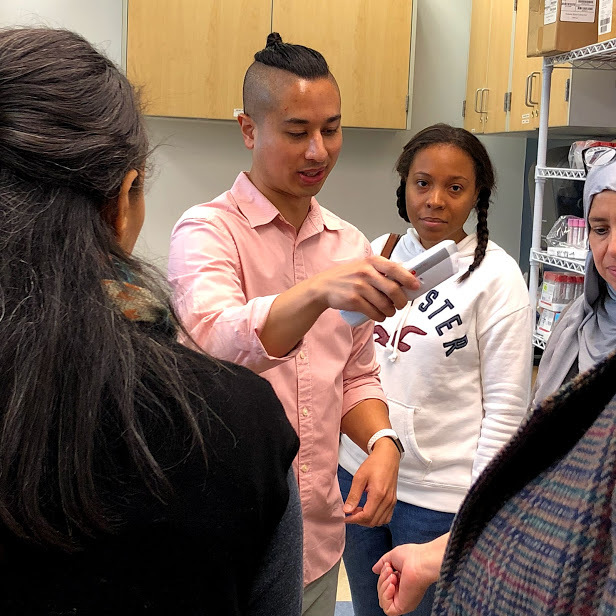 The Program offers the necessary foundation for Fairfax County residents to pursue better-paying jobs in the healthcare fields where there is a great need for skilled workers. 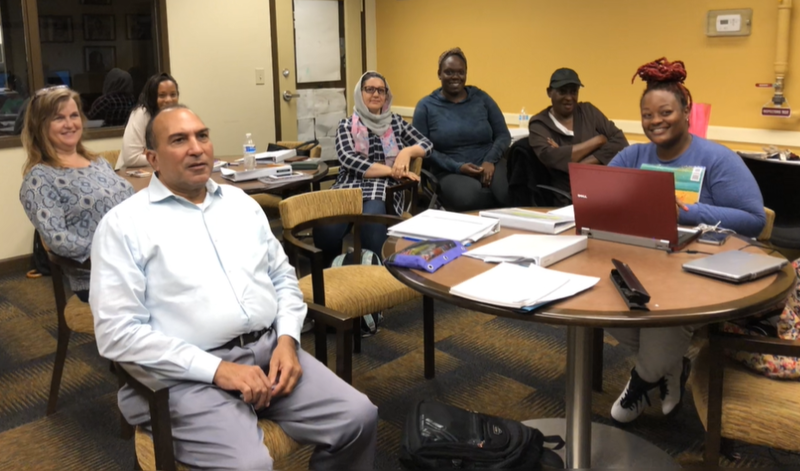 It is a pilot program formed in partnership between Britepaths/Financial Empowerment Center at South County (FECSoCo) and Fairfax County’s Department of Housing and Community Development and is funded through the Fairfax County Community Funding Pool. Initial client recruitment is focused on Department of Housing clients in the South County area. Britepaths’ FEC Workforce Development Coordinator Sally Meyer and Housing Services Specialist III Lura Bratcher hosted information sessions in June and July at the Westford Community Center in Alexandria, and our first students were recruited from these sessions. Future offerings may include training in other fields, such as construction and information technology. 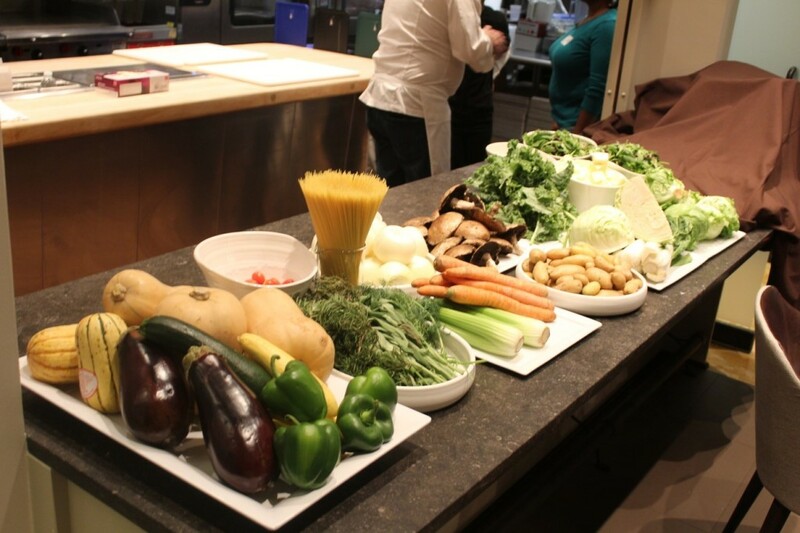 The first cohort began their 12-week session on September 10. The 10 students attend classes Monday through Friday. Britepaths’?Adult Basic Education Instructor Kristie Kleha provides their primary instruction, incorporating job readiness skills with the enrichment of math, reading, and writing that are contextualized for healthcare. The students also have sessions each week in Financial Literacy with volunteers from FECSoCo and in computer skills training with our partners from Computer C.O.R.E. 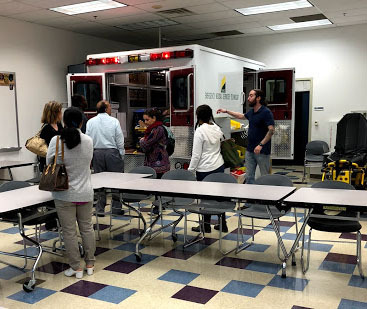 Other enrichment opportunities include a visit to Northern Virginia Community College’s Clinical Simulation Lab, an overview of medical certifications that NVCC offers, guidance in applying for grants to fund their future training, and guest speakers who present professional options in healthcare. The students also use this time to research and take an interest assessment to help them determine whether to pursue work with patients or in administration. After the 12-week session, students will enroll in a medical training course of their choice at a healthcare provider site. This class will also prepare them to take a certification exam. 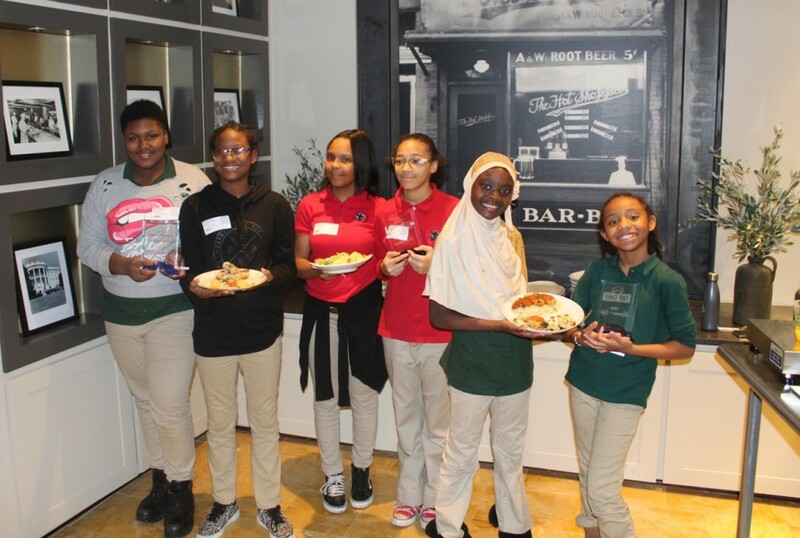 Throughout the experience, and up to a year after completion, students are matched with a volunteer success mentor who will support them, provide resources, refer them to community supports if needed, and work with them to find and stay in a job. 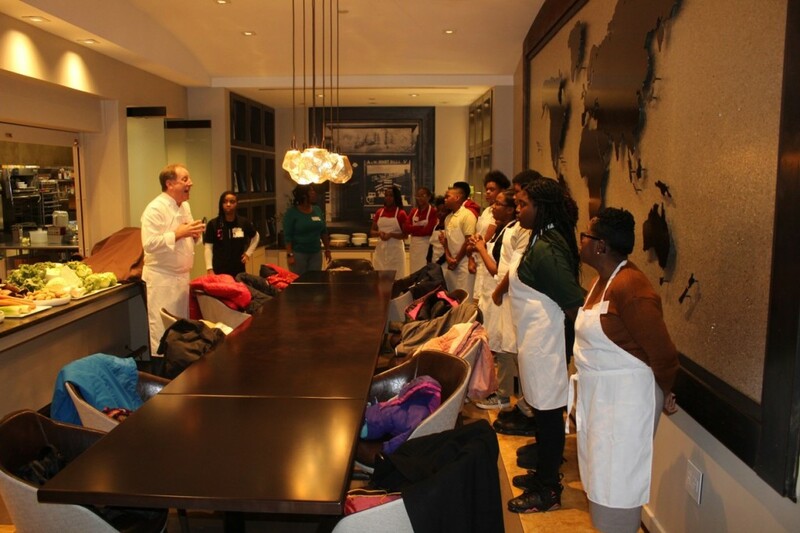 We are excited for our students and wish them much success in their journey toward new careers! We would like to thank Fairfax County, the Department of Housing, Computer C.O.R.E., Northern Virginia Community College, and all the community partners, guest speakers, and volunteers who are supporting the launch of this pilot. We are also reminded of our dear friend and long-time volunteer Diane Jenkins, who helped inspire and inform our initial proposal for this program. Diane was a retired Department of Housing Specialist who worked throughout her career to help her clients improve their lives. She passed away in July 2018, and it is heartening that her memory will live on through the success of students in this Program. Show your support for ending Veteran homelessness by turning out to our Veteran’s All-In Tournament. DC’s Dancing Stars Gala is an exciting new fundraising event full of all the fun, glitz and glamour of the hit TV show Dancing with the Stars! Local DC Celebrities will learn a polished choreographed routine and perform at the Gala with a professional dance partner in a competition mirroring the television show. A panel of celebrity judges along with the audience will select the winner who will win the coveted mirror ball trophy and $10,000 for the charity of their choice. The gala will include a VIP cocktail reception, a sit-down gourmet dinner, the competition, a silent auction, professional performances, and a live band. Help outrace poverty on Sunday 11 November at our first annual 5K Run/ Walk in Tysons Corner, Virginia. If you wish to compete, you can do so individually or as a team. Participants 17 years of age or younger can participate in a One Mile Fun Run. Registration will start at 7:30 am. The 5K and 1 mile walk/ run will start at 8:30 am. Fee: UNFCU Foundation will use proceeds from this event to support projects dedicated to eradicating extreme poverty. In honor of Veterans Day, a portion of the proceeds will also be donated to Operation Renewed Hope Foundation. WASHINGTON — Nov. 7, 2017 — Veterans Day is an important time to thank those who’ve served their country; many nonprofits in the greater Washington area find ways to keep this gratitude going throughout the year for vets and military families. 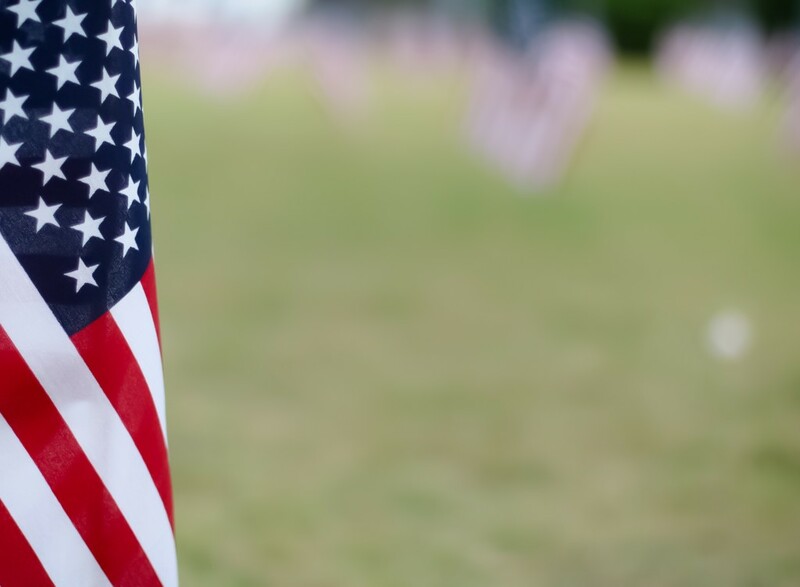 The Catalogue for Philanthropy, Washington’s trusted “go to” source for finding organizations with meaningful impact, has compiled a list of charities serving local veterans and their families. The Catalogue, a nonprofit that has raised over $40 million for small nonprofits in the D.C. region at no cost to those organizations, has vetted these charities in a thorough process that involves a program review, financial review and site visit. This means donors can feel confident that they are supporting organizations that make the Washington region a better place to live for everyone. 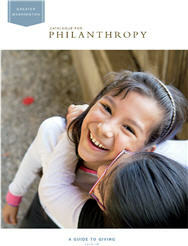 All Catalogue nonprofits are locally based which enables donors to give where they live. To initially apply to the Catalogue, an organization must have a budget of between $100,000 and $4 million. The full Veterans Day list is at http://bit.ly/2CZEaYE. Many of the nonprofits include volunteer opportunities in their descriptions. Our Military Kids (www.cfp-dc.org/militarykids) provides small grants to help families pay for extracurricular activities when a parent is overseas and supports children of wounded warriors from all military branches. Operation Renewed Hope Foundation (www.cfp-dc.org/orhf) helps homeless and at-risk veterans secure safe, permanent homes and overcome the root causes of homelessness and instability in their lives. Operation Second Chance (www.cfp-dc.org/osc) provides direct support to those in financial crisis due to combat injury or illness, usually during the gap between active duty pay and the initiation of veterans’ benefits. The nonprofit also will be sending care packages to 50 deployed service members and will be part of a fundraiser Nov. 10. ThanksUSA (www.cfp-dc.org/thanksusa) empowers military families — children and spouses of military personnel — through its scholarship program to expand their education and skills through college, technical school or vocational training programs. The Veterans Consortium (http://cfp-dc.org/vet) provides free legal services to over 400 veterans and their families each year, ensuring equal access to justice in court and achieving favorable outcomes in 80 percent of its cases. The organization will be holding a discharge upgrade clinic Nov. 9, at the Washington Convention Center. Yellow Ribbon Fund (http://cfp-dc.org/Yellow-Ribbon) provides practical high-touch support to wounded, ill, and injured service members, their caregivers and families in the D.C. area at Walter Reed and Fort Belvoir as they transition back to their homes and communities. The nonprofit is connected to a number of upcoming events that support its mission.